In the UK and USA ‘Hate crime’ has become a topic of public controversy and social mobilization around issues of violence and harassment. This has largely but not exclusively addressed racism, homophobia and gender based violence. This article has three objectives. First, to situate hate crime legislation within a broad theory of modernity;secondly to examine the politics of its emergence as a public issue; thirdly to use data from the authors' recent research in Greater Manchester to illuminate the complexity of the concept of ‘hate crime’. 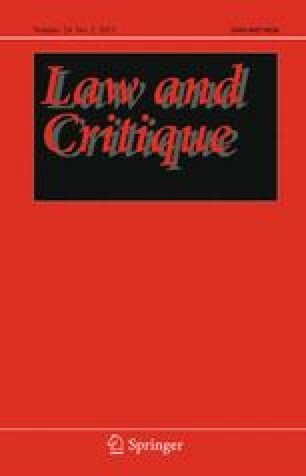 The centrality of ‘hate crime’ to current debates derives from the importance of rights-based regulation of complex societies and the juridical management of emotional life. Hatred and violence have become problematic behaviour thrown into relief by a long term civilizing process. Hate crimes have thus acquired powerful rhetorical focus for mobilization of victim and identity politics. With reference to racist violence in Oldham and elsewhere in Greater Manchester, we argue that in its application and construction, however, ‘hate crime’ is a complex phenomenon that might dramatize rather than regulate the problems it seeks to address.